I have a couple of drafts about my travels waiting to be completed and subsequently published – I’ll do that soon, now that I have holidays. And I’m going to fix the dates so they are published in chronological order, so you may need to scroll down. But for now, one week later, I must write about this. As you may have heard by now, there was a grenade attack followed by a shooting, carried out by the same man, at midday. I was at the scene. 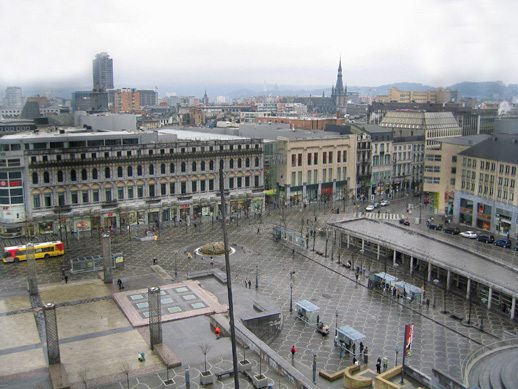 Needless to say it was terrifying, but I got away safely, without really knowing what on earth was going on – I was just out wasting some time on my lunch break, why would this be happening in Liège? I only realised how close I had been to getting seriously hurt or worse when I got home and read that 2 people had already been killed (a number that rose to 7 eventually, I believe; along with over 125 injured). This is to remember those who were not as lucky as me. My time in Liège has come to a premature end, as I and my home university felt I was not in a fit state to carry on studying there and sit my exams. So I am now going to meet with my department today to discuss that. I’m nervous about it, as I actually need to appeal to the university, but I am hoping for the best. Nobody could have ever predicted that something like this would happen.